CIRCA 2018 - U.S. President Donald Trump answers questions about revoking the security clearance of former CIA director John Brennan. hd00:42CIRCA 2018 - U.S. President Donald Trump remarks about Turkey, Craig Brunson, Tayyip Erdogan and unfriendly relations. 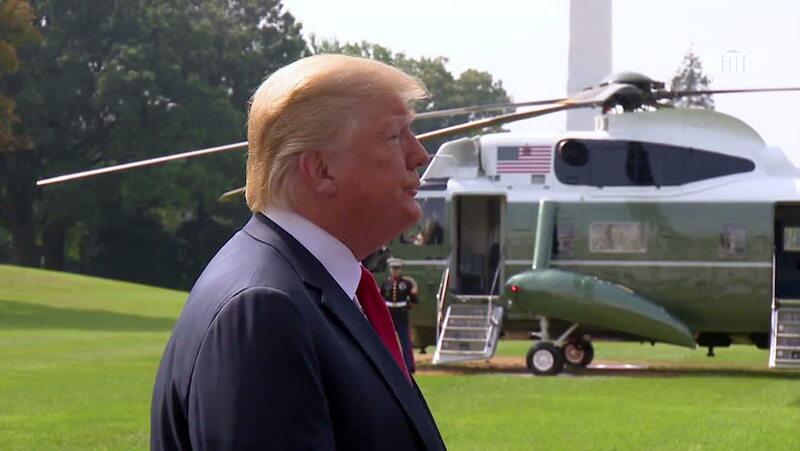 hd00:432018 - U.S. President Donald Trump speaks to reporters about the FBI probe, that he has done nothing wrong, no collusion, would love to speak to Mueller.